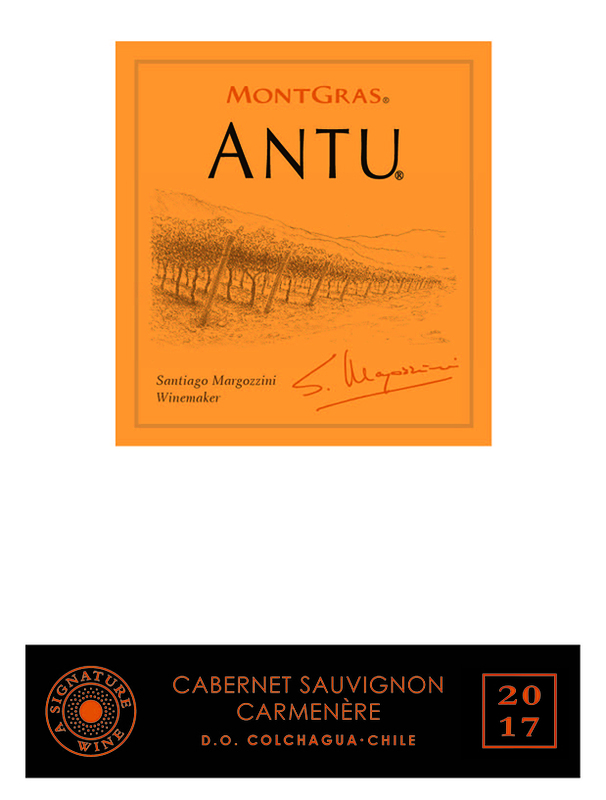 ANTU, means “Sun” in the Mapuche native language, and is the new exploratory range of wines from MontGras, where the identity and characteristics of the terroir transfers to each bottle. AGING:100% barrel-aged in French oak for 13 months. his wine is an intense deep ruby-red colour. The nose has spicy notes intermingled with ripe plums and blueberries. It has great volume in the mouth, with good concentration and excellent structure. The fruit is apparent again with hints of cherries and some chocolate notes. 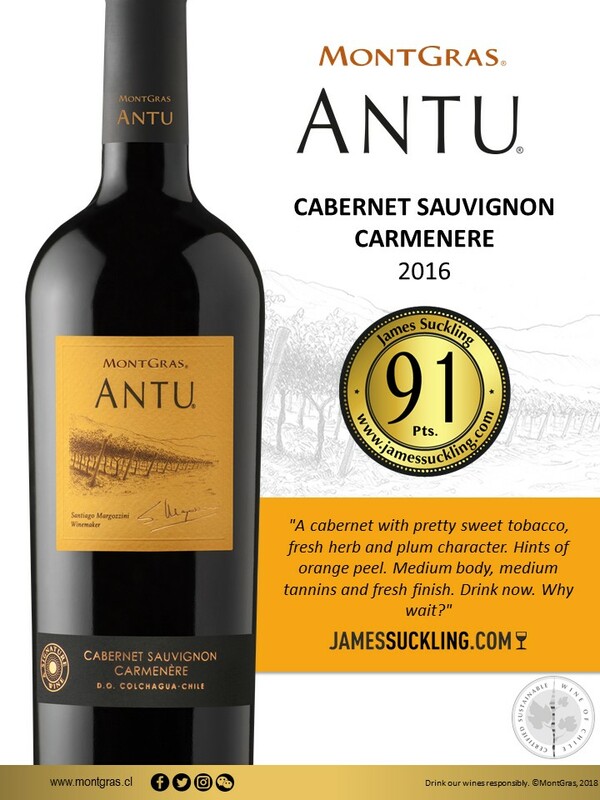 This is a big, well-rounded wine with fine and firm tannins. This wine pairs well with red meats in general, mature cheese and some pasta dishes. Brothers Hernán and Eduardo Gras, along with partner Christian Hartwig, set up the winery in 1993, combining state-of-the-art technology with the talent and passion of a very special group of people. Hernán brought the substantial winemaking experience he had gained in Canada, while his brother, Eduardo and their friend Cristian Hartwig, contributed with their entrepreneurial vision and pragmatic business acumen. 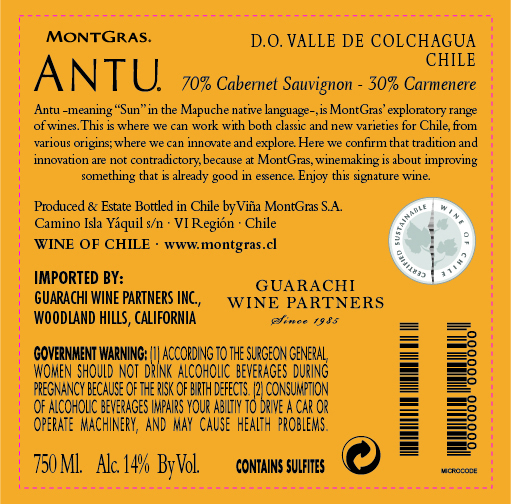 Their combination of skills and experience has enabled MontGras to become one of Chile’s foremost wine groups.